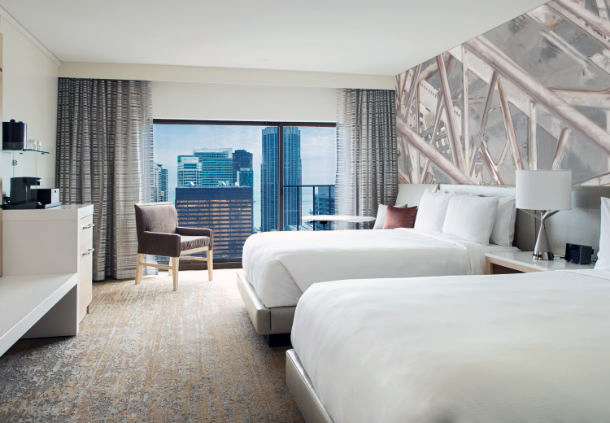 UAC 2018 will be held at the Downtown Chicago Marriott hotel on the "Magnificent Mile." The UAC block at the Marriott Hotel is now full. Please do not contact the Marriott directly if you need a room. Email Laura to get on the waitlist or book at one of the hotels listed below. The UAC block at the Marriott Hotel is now full on several nights; we have made agreements with several other hotels to take our overflow (details below). Please contact Laura Nalbandian at lauranalbandian@gmail.com, to be placed on a waiting list for the Marriott. Please check back for information on new hotels. *Rates are good until the block sells out or May 14, 2018. After this date, rooms are available at the current available rate. The Group Rate is guaranteed for reservations made on or before Monday, May 14, 2018, or if the block or the hotel sells out before that date. Any reservations made after Monday, May 14, 2018 shall be at the Marriott’s current available rate. Rooms are available up to April 24, 2018.